Forget Coachella, forget Burning Man... There's a new rock and roll festival ready to set the summer on fire and its taking no prisoners with its colossal hard rock royalty line-up. 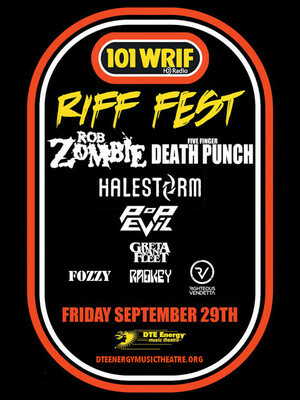 Presented by 101 WRIF, the home of alternative music on Detroit's radio waves, Riff Fest is a soaring sonic celebration of all things heavy and its bone-shaking bill-toppers include Rob Zombie, Five Finger Death Punch, Halestorm, Greta Van Fleet and Pop Evil amongst others! 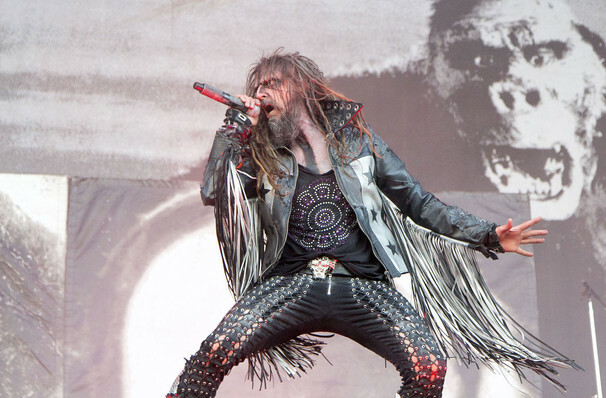 Headliner Rob Zombie rounds off a busy 2019 takes a break from recording his seventh studio album to take to the DTE Energy Music Theater stage and raise hell with his metal-tinged goth rock goodness. Taking inspiration from gory B-horror films, Zombie revels in the theatrical - his concerts regularly include multiple costume changes, ghoulish video imagery, retina-searing light shows and a good old fashioned sense of showmanship that sees the over 50 year old stalk the stage with the energy of a man half his age. Sound good to you? Share this page on social media and let your friends know about Riff Fest at DTE Energy Music Center. Please note: The term DTE Energy Music Center and/or Riff Fest as well as all associated graphics, logos, and/or other trademarks, tradenames or copyrights are the property of the DTE Energy Music Center and/or Riff Fest and are used herein for factual descriptive purposes only. We are in no way associated with or authorized by the DTE Energy Music Center and/or Riff Fest and neither that entity nor any of its affiliates have licensed or endorsed us to sell tickets, goods and or services in conjunction with their events.